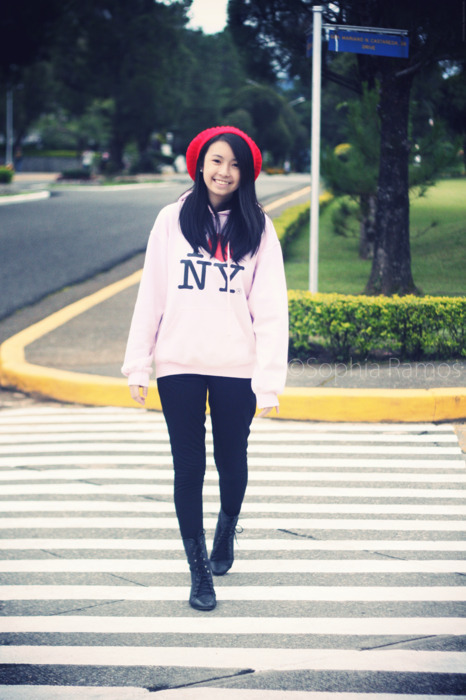 I ♥ NY Baguio! Haha! Street shots have always been my “dream shots.” I remember me and my friend almost got run-over by a car just because we really wanted a cool street shot! Haha! (Hi Abby!) When I saw this empty street with pretty white lines, me and my cousin couldn’t resist! 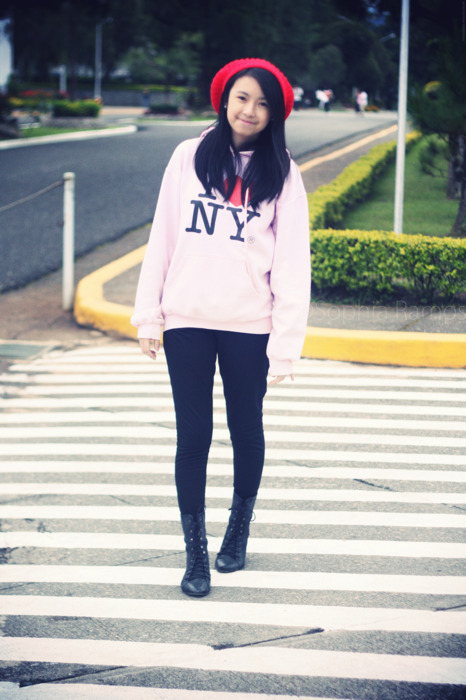 Not exactly fashionable but it helped me survive an extremely cold and rainy weather in Baguio. For someone who is a super-addict to jackets and sweaters (my family can attest to this), Baguio is the perfect place for me to live in. 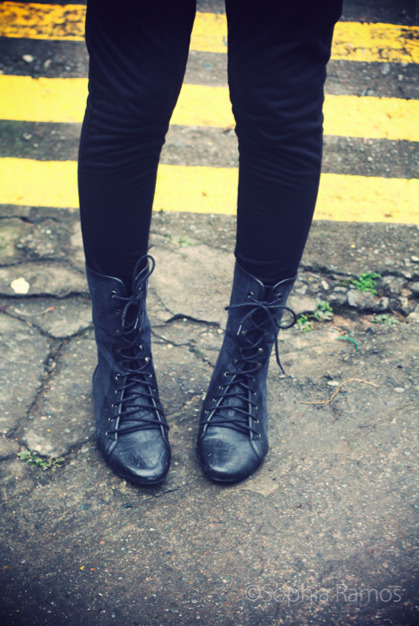 I really love the cold weather which allows you to dress up in winterish clothes. Can’t exactly do that in Manila, where the heat is intense even if it’s already the “ber” months.